We would like to thank the photographers whose images you see on our website and publications. Since 1976 Jim Clark has explored the natural world through his camera. He is the author and photographer of six books and was the major contributing photographer for the book Coal Country. Jim and his son Carson authored and photographed two books together, The Adventures of Buddy the Beaver: Buddy Explores his Pond andThe Adventures of Buddy Beaver: Mystery of the Missing Friends. 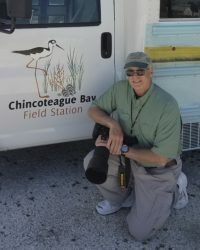 Jim has been the nature photography instructor at the Chincoteague Bay Field Station since 2010. A former contributing editor for Outdoor Photographer Magazine, Jim joined Virginia Wildlife Magazine in 2017 as a guest columnist to write about nature photography. To learn more about Jim and his love affair with nature and photography, visit www.jimclarkphoto.com or visit him on Facebook. Katherine is a member and past president of Loudoun Wildlife Conservancy. 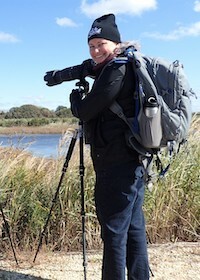 Her interest in wildlife, healthy native habitats and citizen science developed along with her passionate pursuit of nature photography while living in Virginia. Katherine recently moved back to Austin, Texas to be near four generations of her family. She continues to help others learn about native flora and fauna through her photography and her voice as a Texas attorney. Liam McGranaghan is a high school environmental science teacher for Loudoun County Public schools. Throughout his career, he has shown a strong passion and understanding for the natural world. 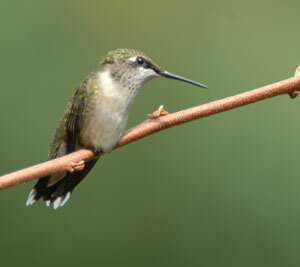 He enjoys birds, reptiles, amphibians and wildflowers. Liam is an avid outdoorsman and nature photographer and raptor bander for the US Geological Services. He has taught classes for the Graduate School USA on birds of prey and herpetology. Liam leads nature walks for a variety of organizations and events, including Loudoun Wildlife Conservancy, Shenandoah Audubon and the Smithsonian and the West Virginia Wildflower Pilgrimage. 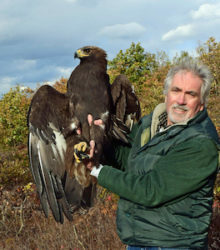 He has written several articles on native plants and animals and published a best-selling book on falconry. Laura works as an office manager and bookkeeper for a landscaping firm in Northern Virginia. She has been a member of the Loudoun Wildlife Conservancy for the past 14 years, four of those as a Board member, serving as the chair for the Program and Field Trips Committee. She was the recipient of the Volunteer of the Year award in 2010. She has an avid interest in natural history and is an accomplished birder and Lepidoptera enthusiast. 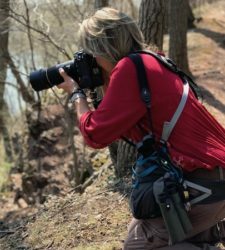 Her nature photographs have appeared extensively in Loudoun Wildlife’s Habitat Herald newsletter and have also appeared in several magazines, including a cover for the Virginia Wildlife magazine in 2018. Donna became an active member in Loudoun Wildlife Conservancy during a life transition from busy mother to empty nester. Feeling a bit lost, she decided to join a Loudoun Wildlife Conservancy walk at Banshee Reeks and found an outlet for her passion for nature as well as new friends. 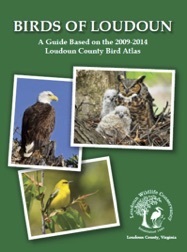 From 2010–2016 Donna was managing editor of Loudoun Wildlife’s Habitat Herald newsletter, a role which combined her passions for the natural world, literature and photography. In 2011 she was selected Volunteer of the Year. Donna likes to say while she is not an expert in any one subject, she remains a lifelong student of Mother Nature. 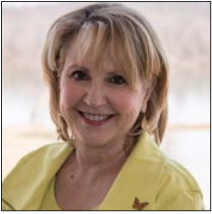 Donna’s articles and photographs can be found in the Habitat Herald.